Can Shipping Help Greece Ride Out The Storm? Greece is considered to be the world’s first ship-owning country in terms of tonnage. The Greeks are known to control 17.7% of world fleet and gaining share except in crude tankers. Even recession in the dry bulk market has not had much effect on the Greek-owned fleet with the fleet size touching 5,226 vessels last year with a total DWT of 334 million. For debt-laden Greece, shipping – a key element of Greek economic activity since ancient times – is considered a knight in shining armor at this crucial juncture. Most Greek shipping companies are family owned businesses which have been in shipping for many decades, even over a hundred years. Today, shipping is the second largest contributor to the national economy after tourism accounting for 6.5% of GDP, and employing about 290,000 people (7% of the workforce). Earnings from shipping amounted €35.4 billion in 2014. The Greek fleet flies a variety of flags, however some Greek shipowners gradually returned to Greece following changes to the legislative framework governing their operations and the improvement of infrastructure. A European Community Shipowners’ Association (ECSA) report for 2013–2014 reveals that the Greek Flag is the first-most-used internationally for shipping, while it ranks first in the European Union the same ECSA report showed that there are approximately 950 Greek shipping companies in operation. Greek shipping families are notable for their great wealth and influence in the industry such as the Vardinoyannis, Latsis, Livanos, Niarchos, Angelopoulos and Goulandris. Being traditionally into shipping helped the Greek-run fleets to re-establish themselves under their national flag after the World War ll. The changing dynamics saw them more closely aligned to their own national state, and the establishment of a Greek Merchant Marine service. Greece is a mountainous peninsula strategically located on the eastern side of the Mediterranean Sea. The country is surrounded by sea from three sides. The northern side borders with other Balkan countries. Due to the many islands, in the Aegean and the Ionian Seas, the country has the longest coastline in Europe and the fifth longest coastline in the world. About 85% of the country’s 11 million population lives mostly within 30 miles of the sea, of which 4 million live in Athens, the country’s capital. Although a small nation of 11 million, it has over 80 ports that play a major part in helping the trade of the country. 19 of these are considered busiest maritime ports for passenger transport and 21 for cargo traffic. Piraeus is the main port in Athens and the largest port in Greece. Privatization has been a key part of government efforts to develop its state assets and raise money to cut Greece’s mountainous debt. The government has been targeting 1.4 billion euros from privatizations for last year and 3.7 billion for 2016. Privatization of Piraeus port is still underway and some of the other 12 prominent ports are also likely to follow suit. The government also foresees major macroeconomic benefits to be derived from the privatization of Piraeus port, adding to the GDP and creating new jobs. The strategic location and the extensive coastline has helped to generate a strong influence on Greece’s tourism industry. Once a pioneer in cruises it commanded the largest cruise fleet in the Mediterranean way back in the ‘70s. Greek cruise ships sailed the Caribbean, Alaska, the Baltic and other places. Today, there are no Greek cruise ships, mainly due to Greek “protective” legislation. From 2012 Greek law is compatible with European legislation. However, because of its history, rich cultural heritage and the unique Greek islands, the country is a prime tourist destination. Because of its location and unique archipelago, Greece has all the settings for becoming the recreational and boating playground of the European Union attracting people from all over the world who enjoy yachting. The Greek Archipelago has about 16,000 km of coastline, 1,200 islands and 4,800 islets and is probably the world’s best cruising ground. The country hosts only about 17,700 pleasure boats of all types and flags. This number includes about 4,000 yachts for charter of which about 500 are manned. But, yachting has been responsible for creating only about 40,000 direct and indirect jobs. Shipbuilding activity today is very limited. Only small commercial units for local shipping are being built. Most shipbuilding is now being outsourced to shipyards in China, Korea and Turkey, where labor costs are much lower and are minimally regulated. Only small commercial units of local shipping are being built. 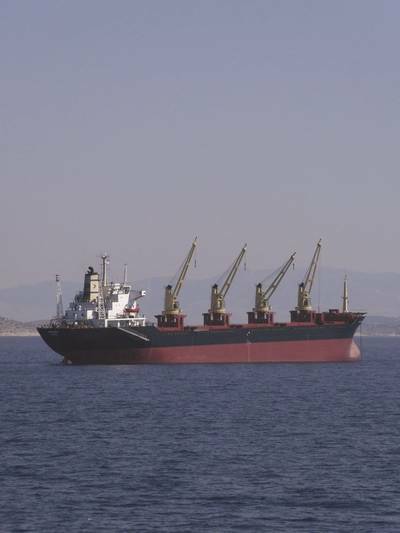 Cargo ships cannot be built economically in Greece. Thus, Greece is left with just four to five shipyards and extensive repair facilities that can be considered operational. Many bigger units were established by Greek shipowners: Hellenic Shipyards by Niarchos in 1956 had built 55 cargo ships until its sale to the State in 1985. Eleusis Shipyards by Andreadis in the mid ‘60s which built five cargo ships got nationalized in 1975. Neorion Shipyards by N. J. Goulandris in 1970 got sold in 1978. Chalkis Shipyards by J.C. Carras in early ‘70s which modified two ships into cruise ships and was sold in the ‘80s. The Salamis Repair Base by Chandris in the ‘60s is known to have modified 85 ships into cruise ships. Greek technicians and craftsmen are considered world class. After World War II they modified over 200 cargo ships and tankers into ferry boats and cruise ships. 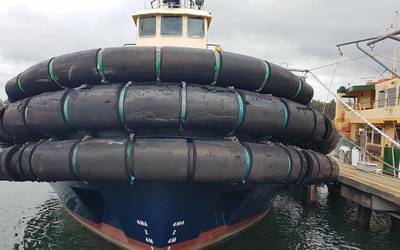 Now, Greek repair facilities are underutilized by the commercial fleet for lack of competitiveness, despite a good, dry climate and a central position in the Mediterranean shipping lanes. Having Greek technicians with technical knowhow which is second to none the industry is hoping for structural reforms to take place so as to become competitive. Once the economic paralysis ends Greece’s maritime sector in general and shipping in particular is set to flourish.